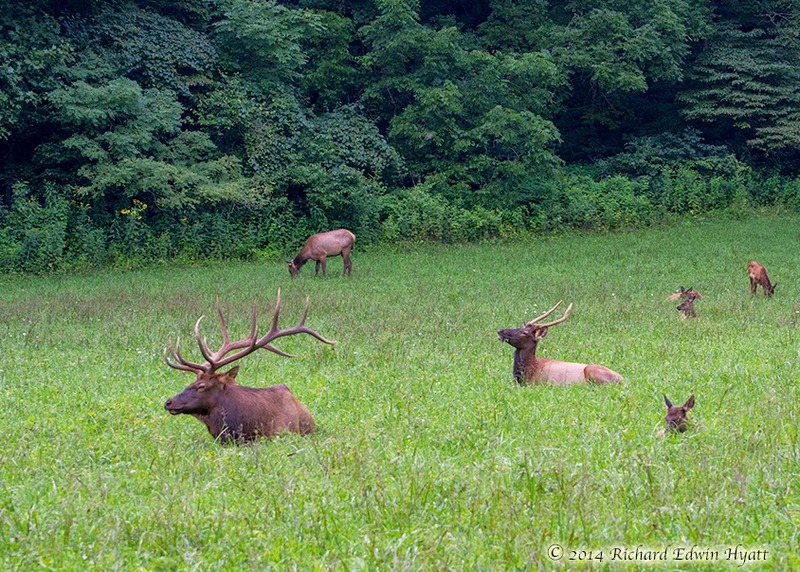 Lots of elk last night near Cherokee in the Great Smoky Mountains (about the third clearing after Mingus Mill) and along the south end of the Blue Ridge Parkway (several at US 19 & one big bull elk at Mile High overlook Heintooga Ridge Road). Wow, I have been to Cherokee many times and I have never seen elk! Lucky you.